The benefits of a fast load times are well documented. But increasingly, loadtime is about more than just the application and database. The front-end is now critical, so much so it influences search rankings. Our application loads a page, on average, in under 50ms. Network time can add another 100-200ms (see Google Pagespeed, Yahoo YSlow, and WebPageTest for ideas on how to improve this area). But the total time before a user can see our content had climbed to upwards of 500ms. The culprit? Well, we had to setup some profiling tools to find out. But perhaps the most essential tool was a good old fashion console timer that we could insert at various parts of the code. Wow. That is a lot of time rendering–almost 10 times as much time as it takes for the server to generate the page. This finding resonates with the Performance Golden Rule from Steve Souders, which is that 80-90% of the end-user response time is spent on the front end. We can see that we have a lot of opportunity to improve both the JS and the CSS on the site. Now let’s dive into the improvements. We used DynaTrace Ajax 3 to identify the bottlenecks in Internet Explorer. We found that a major culprit was SoundManager2, a library that allows us to play audio files. We also had to tackle the CSS delays. Using DynaTrace, we noticed that IE was spending an inordinate amount of time rendering the page. To find out why, we had to test removing various parts of our CSS. One biggest drain on performance turned out to be the CSS reset, which is based on normalize.CSS. In IE, the CSS reset alone created a 100ms delay. We were testing a complex page with over 1500 elements, and the reset applies to virtually all of them. The DOM Monster profiling tool was begging for fewer elements. And it was right. On a simple page, the penalty for the reset was only 20ms. Digging deaper, the elements on the page seemed to play a major role in the IE rendering time. The homepage, which has relatively few elements, loaded in 160ms, rather than the 415ms seen when the page had a lot of elements. The solution here is to delay loading of many elements until a user scrolls down to see them. Delaying the loading of a large dictionary result could speed up the initial response by over 100ms. As a result, we decided to pre-load fewer elements on the page, allowing certain sections to only load after a user made an ajax call to retrieve the elements. Another CSS optimization that we did was run Google Pagespeed and identify the slow CSS rules in our code. 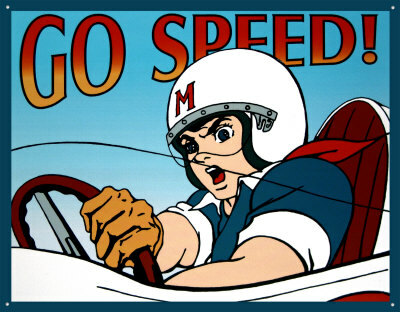 Google Pagespeed is able to identify any rules that browsers struggle to execute. In our case, because we had so many elements on the page, the impact of each slow rule was magnified significantly. This project made apparent that for our site, front-end performance is a key metric that we must measure, monitor, and manage. Performance optimization is an ongoing effort. We embedded within our code an easy way to measure across browsers the frontend load time of any page on our site. We also elevated the importance of thesite speed report that is available in Google Analytics on our metrics dashboard. These tools allow us to regularly monitor the impact of changes on our frontend performance to ensure that we maintain a zippy user response time as we make changes to the site.